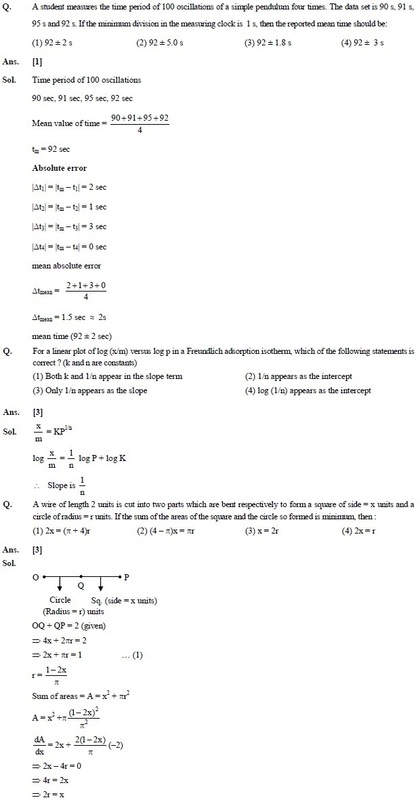 Find JEE Main Solved Question Paper 2016. This paper is very important for those engineering aspirants who are going to appear for IIT JEE Exam this year. The best way to get the idea about the examination pattern is to study the previous yaer papers. In this article you can find JEE Main Solved Question Paper 2016. This paper will be helpful for those aspirants who are going to appear for the coming engineering enterance exams. Previous year papers help the students to understand the pattern of the examination. Generally questions in JEE Main are not repeated but the concept on which questions are being asked keeps on repeating year after year. The students must go through the complete paper in order to understand the examination pattern and the level of questions asked in the examination. There are 30 questions each in Physics, Chemistry and Mathematics. Four marks are awarded for each correct response and one-fourth of the total marks allotted to the question would be deducted from the total score for each incorrect response.